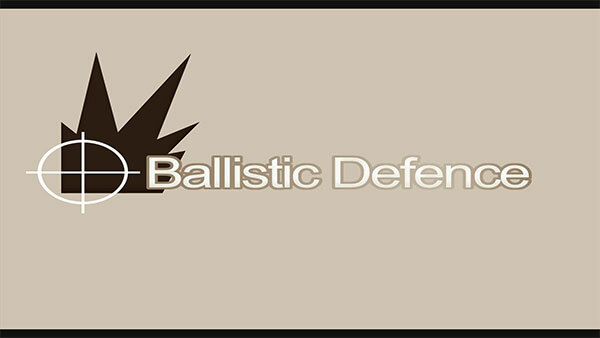 Ballistic Defence is an old style arcade game, where the objective is protect to survive. If you were old enough to be playing video games back in the 80's then it will be very familiar! You have control of three missile stores with a limited amount of ammunition and must use these to prevent the onslaught of enemy projectiles destroying the surrounding cities. The enemy attacks come in waves, and these get faster and trickier with each new wave. For each new wave your missile stores are re-stocked. 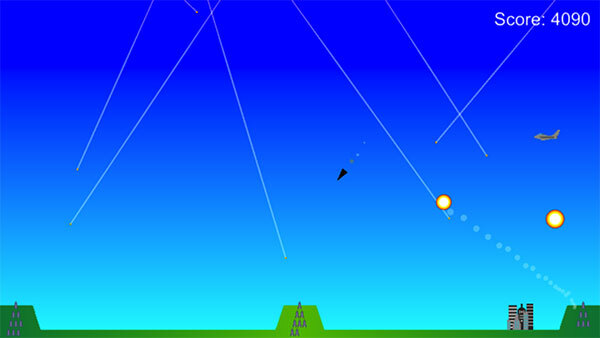 There are two kinds of enemy projectiles, one that will follow a straight line path and a smarter missile that will do it's best to avoid your missiles. Also look out for passing enemy fighter planes, shooting them are worthwhile if you're looking for a big score. 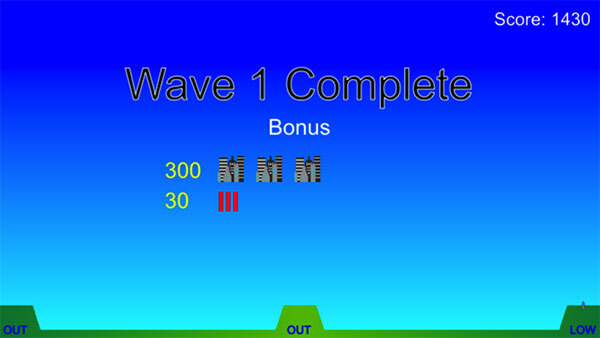 The game is simple to use, and requires no more than one finger to point out your targets to play. Making it an ideal game for instances where you just want to kill a few minutes. But be warned, just because it is simple does not mean it can't be addictive! 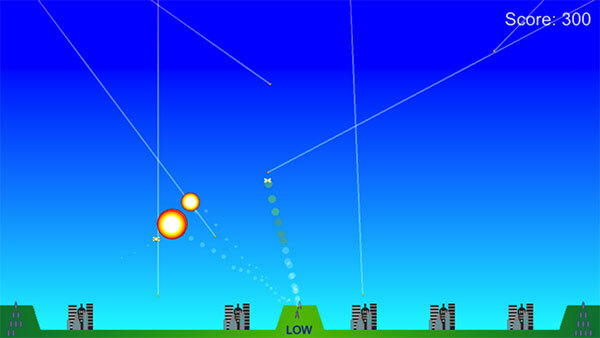 Screenshot - A smarter missile in view! Jason Foster is a freelance web dev based in Norfolk and the owner of Design Spin, based in the UK. When he is not busy working on client work, he can mostly be found enjoying time with his family, drinking a few ales in his local with friends, strumming his guitar or behind his computer working on a pet project such as this one.